V2498. 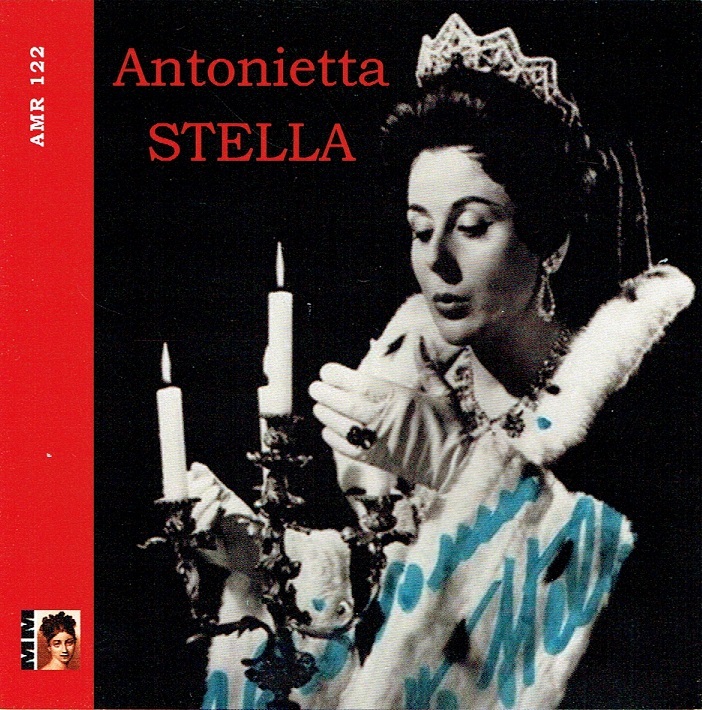 ANTONIETTA STELLA: Arias from Luisa Miller, Ernani, Il Trovatore & Forza; w.Franco Corelli & Mario Del Monaco: Duets from Andrea ChÃ©nier & Tosca. (France) Malibran 122, Live Performances, Palermo, Firenze, Napoli & Milano, 1955-65. Final Copy! “Seeming from time to time a serious contender for consideration with the great prima donnas of her time - Callas, Tebaldi, and Milanov - Antonietta Stella never quite pulled together all the elements of her lavish gift. An immensely attractive woman with large, deep-set eyes and a figure that would have found favor in Hollywood, she presented an appealing stage presence but was not always able to control her impulsive histrionic inclinations. Although her vocal endowment led her to an early début, her lovely spinto-weight soprano was not sufficiently technically secure and not supported consistently enough to endure.